On Thursday, there was chatter on social media about DeSantis' role in a Tea Party Facebook group. Here's what we know. On social media on Thursday, liberal groups and activists said that Congressman Ron DeSantis, the Republican nominee for Florida governor, was moderating a massive Facebook group with racist posts and conspiracy theories. 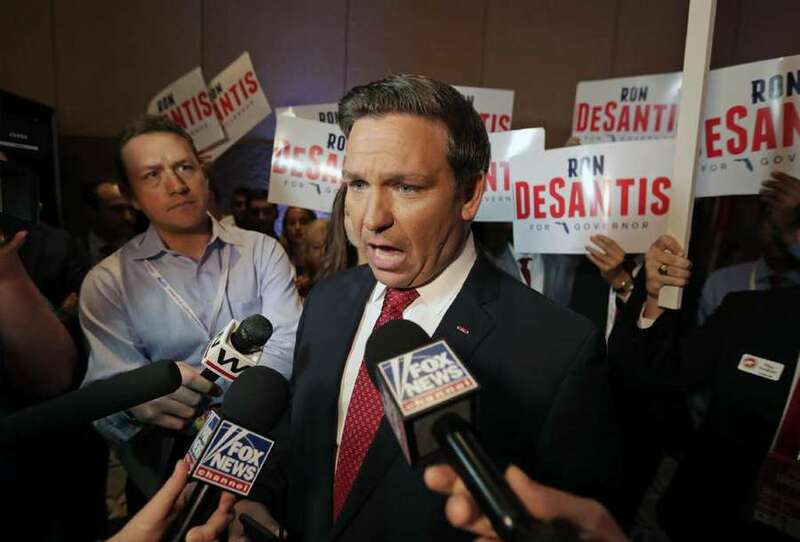 DeSantis' membership in the group was first noted by American Ledger, which is run by the liberal group American Bridge. "It appears @RonDeSantisFL was moderating hate group on FB that regularly attacked on race and attacked Parkland survivors," tweeted Fred Guttenburg, whose daughter, Jaime, was killed in the Parkland shooting, and has since become a prominent gun control advocate. "If true this is bad." DeSantis denied through a spokesman on Thursday that he ever led the group or even knew he had been added to it. He "immediately" left it when notified of the controversy, the spokesman said. With close to 95,000 members, the Tea Party Facebook group racks up new posts by the minute, many of them offensive and featuring articles from far right websites. "Hang the b***h," one commenter wrote below an article about Australia's first female Muslim senator, Mehreen Faruqi. Another recent post featured an image decrying "the leftist myth of white privilege" and "the forced mass migration of non-assimilating cultures to majority white countries" as "the genocide (or minimalization) of the white race by globalist socialists." It had been shared 31 times in eight hours. Then there was an an article about Democratic Congressman Al Green of Texas, who is black. "So long as he stays on the Plantation, he'll be taken care of because he's too stupid to survive on the outside," one commenter wrote below it. Screen grabs circulating online showed DeSantis as an "adminstrator" for the page. Stephen Lawson, spokesman for DeSantis' campaign for governor, confirmed that DeSantis had in fact been a member of the online group but was added to that role without his knowledge. A Facebook user does not have to approve themselves being added as an administrator to groups. "The Congressman was completely unaware that he was part of the Facebook group, which he was added to without his knowledge or consent. As soon as he found out about it, he immediately deleted it," Lawson wrote in a statement. "The real story here is that the Democrats are desperate to talk about anything other than real issues that matter to Floridians. 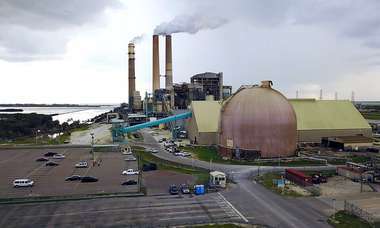 They're doing anything and everything to try to distract from the failed, corrupt, socialist record of their candidate, Andrew Gillum, but Floridians won't buy it come November." Casey DeSantis, the Congressman's wife, was still listed as a member as of Thursday morning. Also listed as an administrator on the page was Mike McCalister, another Florida Republican, who lost the party's nomination for commissioner of agriculture on Tuesday. Kelli Ward, who lost a primary on Tuesday for Arizona's U.S. Senate position being vacated by Jeff Flake, is also listed as an administrator. McCalister said he wasn't aware he was an administrator and hadn't "looked at the page recently." "I don't have any active role — never have had one," McCalister told the Times/Herald.